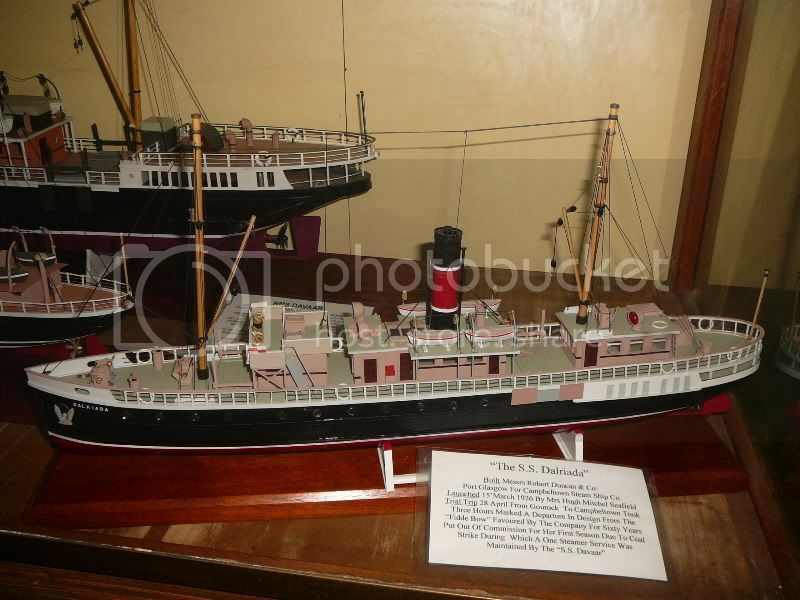 New displays - Campbeltown Glasgow Steam Packet Company, 4 New Steam Ship Models. Also shoemaking & Tailoring in Campbeltown 1870 - 1930. Newly upgraded team room serving the usual teas, cofees and home baking. Open Monday to Saturday 11.30am to 4pm and Sunday 2 - 4pm till the end of September.